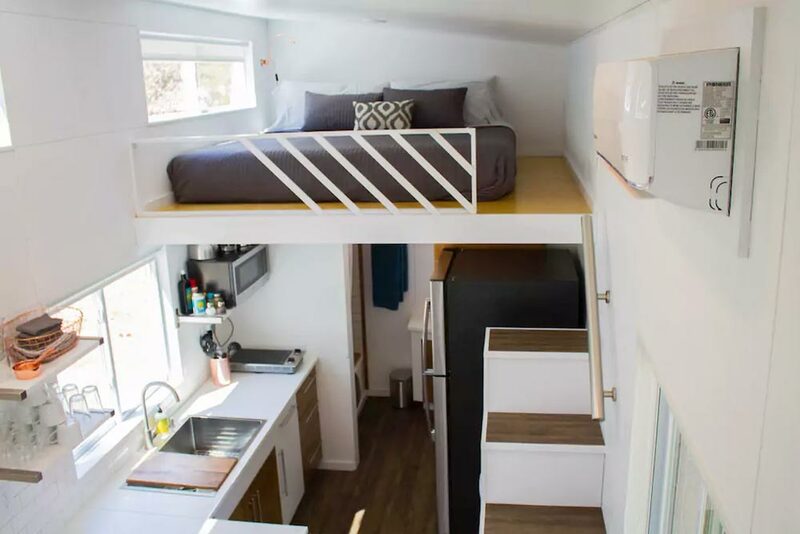 Are you ready to give tiny living a try? 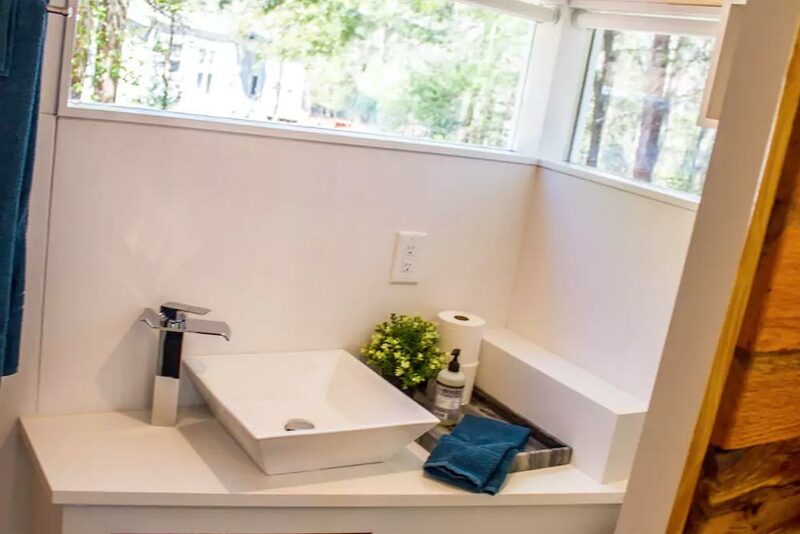 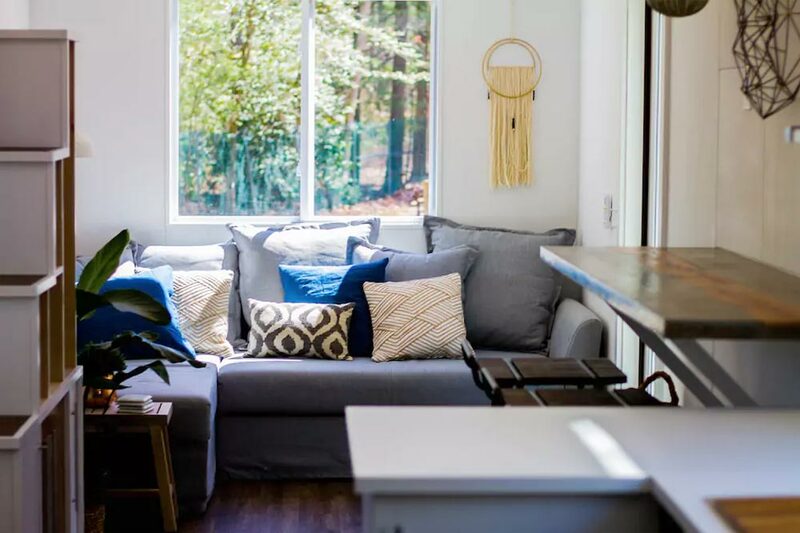 The River Resort is available for nightly rental through Airbnb in Egg Harbor Township, New Jersey! 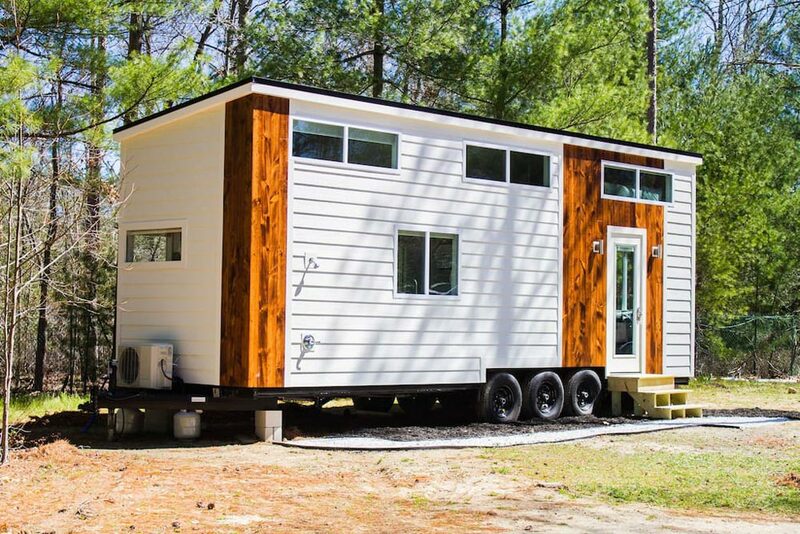 The tiny house is located 15 minutes from Ocean City and 30 minutes from Atlantic City. 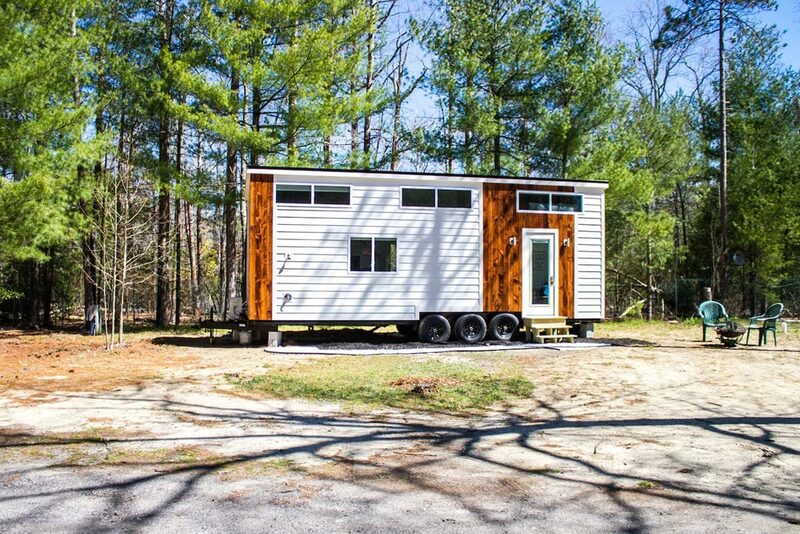 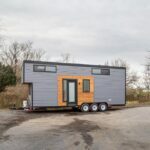 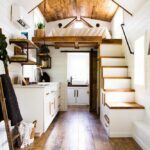 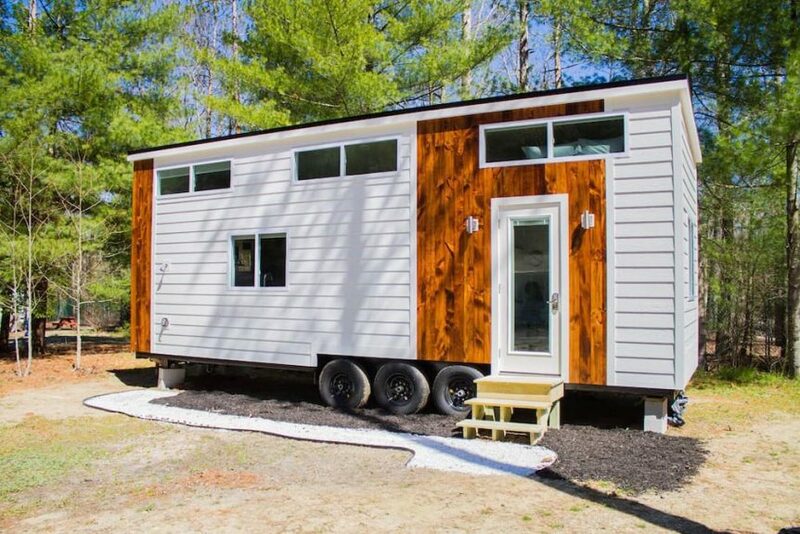 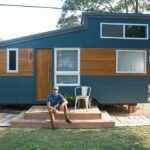 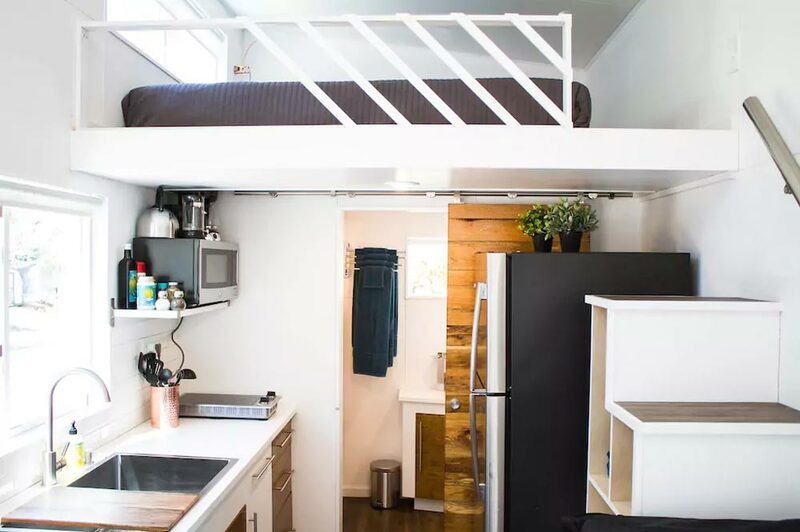 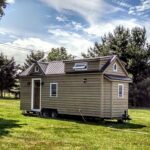 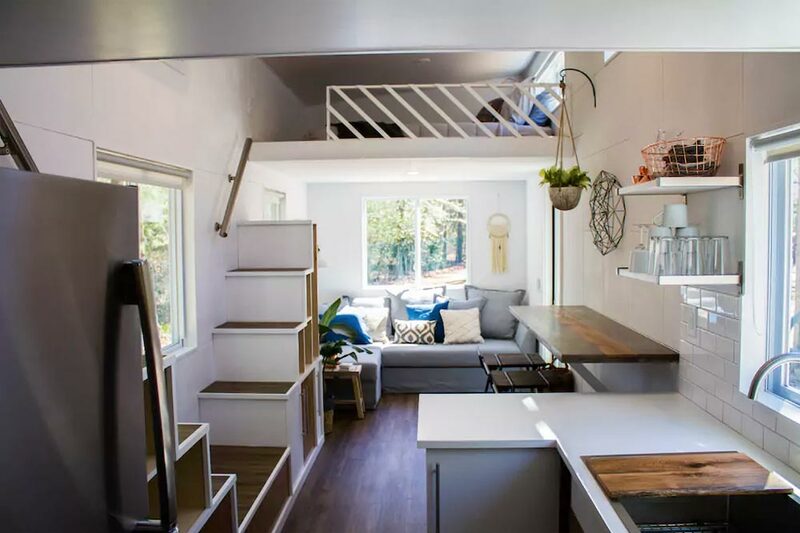 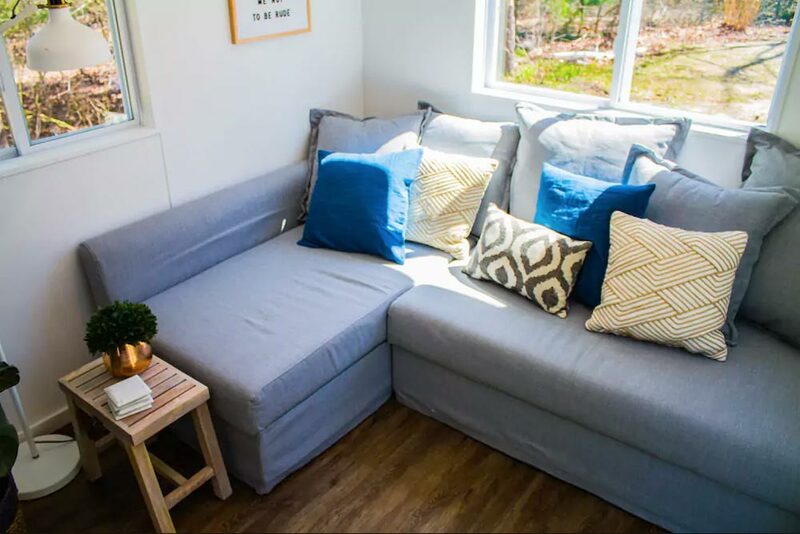 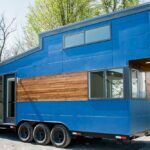 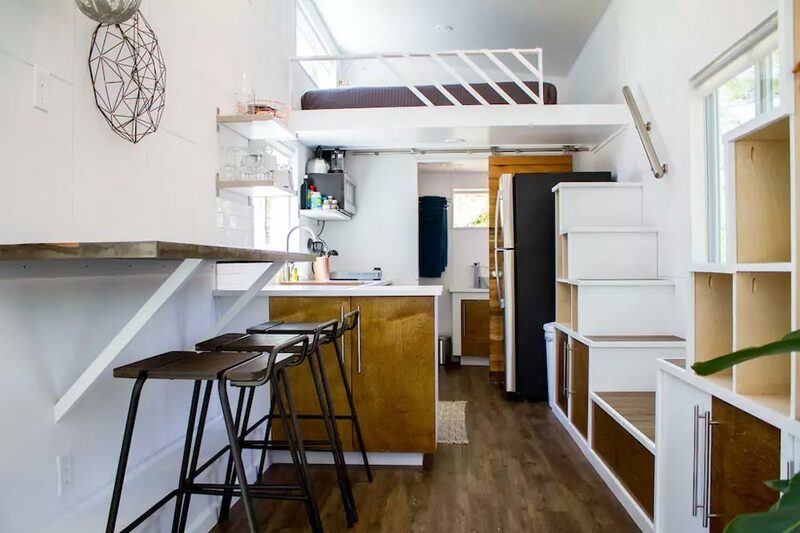 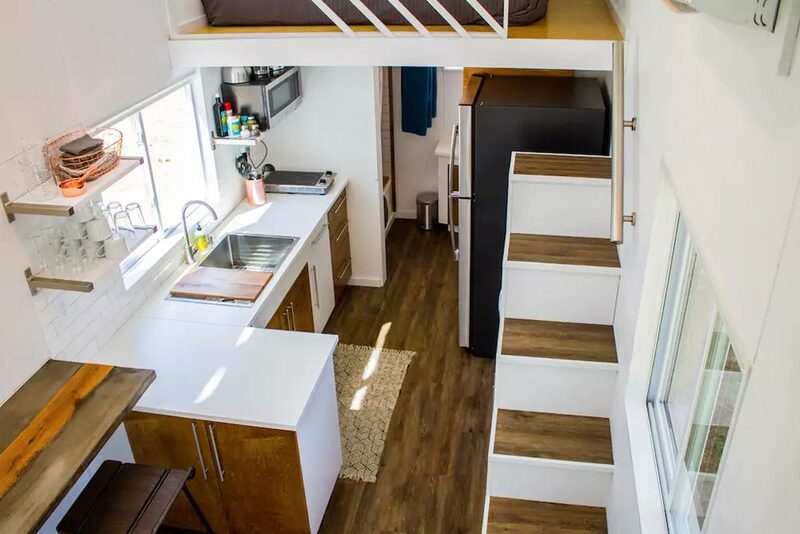 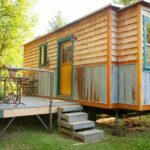 Built by Liberation Tiny Homes, this tiny house is 28 feet long and features a king bedroom loft, a queen bedroom loft, and a fold out double bed couch. 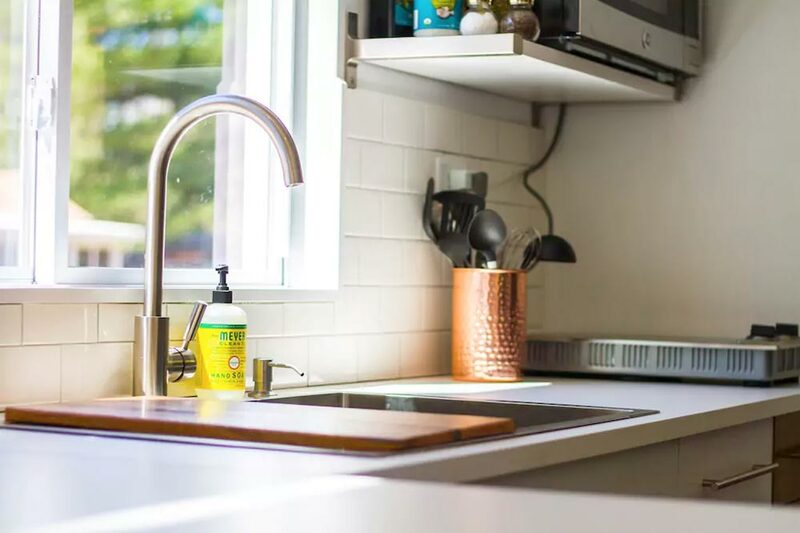 The kitchen is outfitted with a two-burner stovetop, pots & pans, oils & spices, cutting boards & knives, coffee maker, toaster, and a full size fridge. 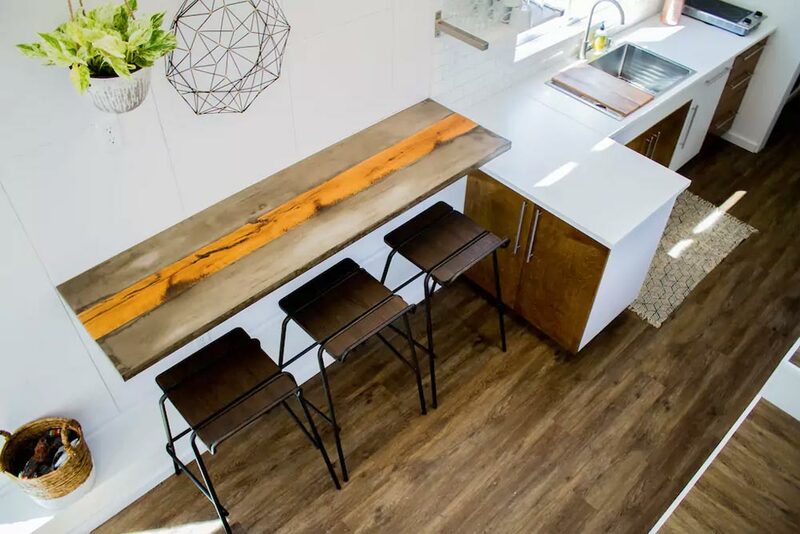 Next to the kitchen is a beautiful 6′ concrete bar top with three chairs. 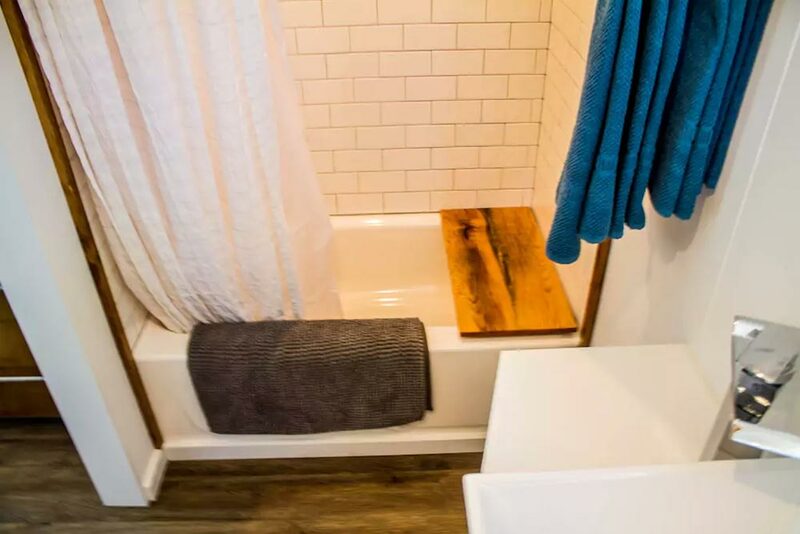 The bathroom is complete with a bathtub and modern sink. 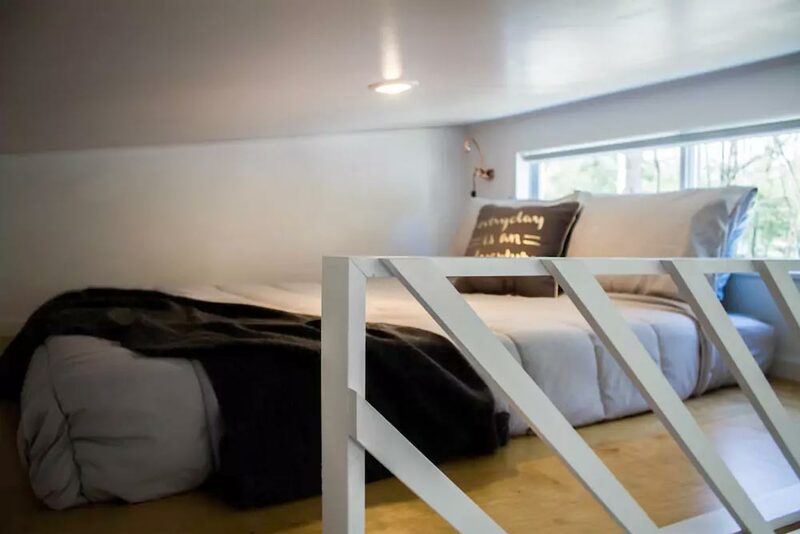 Prices start at $137 per night. 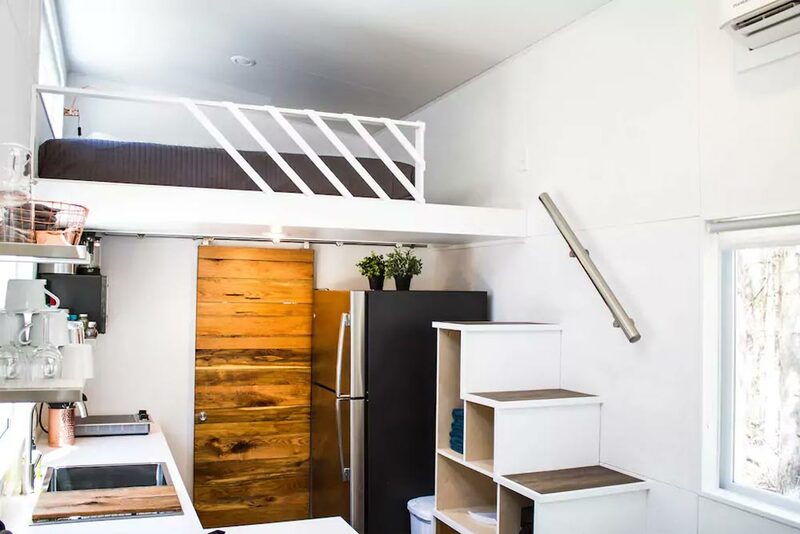 You can view more details on Airbnb.